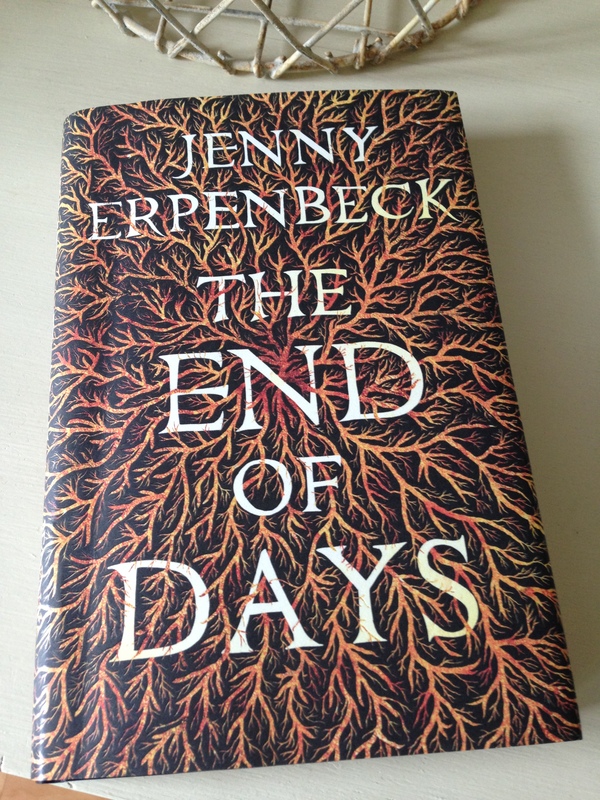 The story running through The End of Days, the latest novel from German writer Jenny Erpenbeck, features an intriguing premise. By following five different variations of the life of one woman, the novel examines the role chance plays in our lives. In doing so, it touches on various aspects of European history in the 20th century from the hardship in the years following WWI, to the rise in anti-Semitism, to the period following the fall of the Berlin Wall. It’s an ambitious narrative, and Erpenbeck pulls it off to very good effect. The novel is divided into five books, each one covering a possible life of the woman in question. In the first variation of her life, our central character dies in her cradle just a few months after her birth in Galicia in 1902. (Galicia now straddles the Poland-Ukraine border, but was part of the Austro-Hungarian Empire at the time.) As her Jewish mother mourns the loss, her father (a Christian) drowns his sorrows in drink. Unable to come to terms with the tragedy, the father set sail for America, abandoning his wife in the process. The man’s arrival at Ellis Island’s immigration hall provides an opportunity for reflection on the Austro-Hungarian Empire, a place where ‘German remained the language of democracy’ despite all the intermingling. Meanwhile, the bereaved mother slips into a life of prostitution as a means of supporting herself after the desertion of her husband. Each of the five variations of the central character’s life are separated by Intermezzos, short sequences of 4-9 pages in which Erpenbeck raises the question ‘but what if…’. For instance, what if the baby girl didn’t die in her cradle that night? What if she survived the crisis and her life continued? In effect, these intermezzos serve as a means of moving us from one version of the woman’s life to the next. As book II begins, we fast forward to 1919, and the seventeen-year-old protagonist and her family have moved to Vienna in the hope of finding a better life. Despite the end of the First World War, food is in desperately short supply, and the girl’s younger sister queues all day for meagre rations until her mother takes her place for the night shift. In this scene, the central character’s father reflects on the family’s situation. As for our central character, the weight of trying to find her way in an uncertain world proves too much to bear, and she enters into a suicide pact with a young medical student. Things don’t quite go to plan, but nevertheless the girl dies in hospital a few days later. And so we move to the next Intermezzo and another ‘what if?’ and her life continues once more. In the third variation of her life, our protagonist is in Moscow. As book III opens, the year is 1938, and she is writing an account of her life in the hope of gaining Soviet citizenship. As the woman writes her story, we learn that she joined the Communist Party of Austria in 1920 where she met her husband, Comrade H. Both she and her husband were writers, keen to use language and words as a means of forging progress in the years following the War. Now, as she sits at her desk in Moscow, she knows that this written account might put an end to her life; alternatively, it might be kept in reserve, forcing her to live by it, ‘to prove herself worthy of it’. With her husband already under arrest, she must try to survive. Her aim is to save herself by writing her way back into life. I’ll refrain from covering the fourth and fifth lives in detail—I’m sure you’ve got the idea by now—but final instalment finds our protagonist living in a care home and suffering from dementia as her life draws to a close. This impressive novel touches on various different ideas, and several of these are revisited throughout the narrative. Alongside the recognisable themes of personal sacrifice, loss, and the fragile nature of our existence, other themes emerge, too. Erpenbeck’s story highlights our desire to keep secrets from those who are closest to us as a means of protecting them from the heartache of knowing the truth. The daughter who doesn’t know her father was beaten to death by the Poles; the son who is told his father fell in the battle of Kharkov – these motifs echo and reverberate through the text. As I mentioned earlier, the intermezzos highlight the role chance plays in our existence – how our lives can turn on the tiniest of moments and the smallest of decisions, many of which are subjective. A handful of snow; a chance encounter in a café; a decision to cross a street at a certain point – all these things and more play a significant role in the lives of the central character. Ultimately though, the novel’s overarching theme is, perhaps, the continuation of humankind – even when an individual dies, life goes on. Before I finish, a few thoughts on Erpenbeck’s prose. While the style is spare and haunting throughout, it does vary somewhat from one section to another. Personally, I found Books I, II and V more engaging than the middle sections despite the highly compelling subject matter at the heart of the novel. Book III alternates between a first-person narrative (the documented account of the central character’s life) and passages written in the third person. While different fonts are used to differentiate between each section, the frequent switches between these two forms (together with the inclusion of snatches of conversation from a possible interrogation session) didn’t quite work for me. That’s just my personal opinion, though, and others may well disagree. Nevertheless The End of Days is a very powerful work, one I’m glad to have read. This novel won the 2015 Independent Foreign Fiction Prize, and as such, it has been widely reviewed. Posts that have caught my eye include those by Grant (of 1streading), Joe (of Rough Ghosts), TJ (of My Book Strings) and Gert Loveday. I read this book for Caroline and Lizzy’s German Literature Month, which is running throughout November. The End of Days is published by Portobello Books. Source: personal copy. Book 14/20, #TBR20 round 2. This entry was posted in Book Reviews, Erpenbeck Jenny, Women in Translation and tagged #GermanLitMonth, #ReadWomen, #TBR20, #TranslationThurs, Book Review, Fiction, Germany, IFFP, Jenny Erpenbeck, Literature in Translation, Portobello Books, Susan Bernofsky on November 17, 2015 by JacquiWine.